Are you in the first throes of love and passion? Are you looking for ways to convey your love to your beloved? Well! Our experts have put together 10 adorable floral gifts to help you out. From gift baskets with chocolates and teddy bears to red Everest arrangements, we have everything that could inspire you for an awesome rose day. We have also put together 5 tips to help you make it a success. What Do Different Colours of Roses Mean? Rose Day is Approaching Soon, How Can You Make it More Special? Rose Day is the first day of Valentine's Week. It is celebrated across the globe in a special way. On this day, you convey your feelings to each other with roses. Roses have a beautiful fragrance and they come in myriad hues. Red roses signify love. Gifting a red rose to your beloved is just another way of saying 'I love you'. Yellow roses signify healthy and long lasting friendship. These are often gifted to best friends. White roses signify purity and innocence. These are generally given to someone when you want to end an old feud and start afresh. Pink roses signify gratitude. It is a cute way of thanking someone for being in their lives. 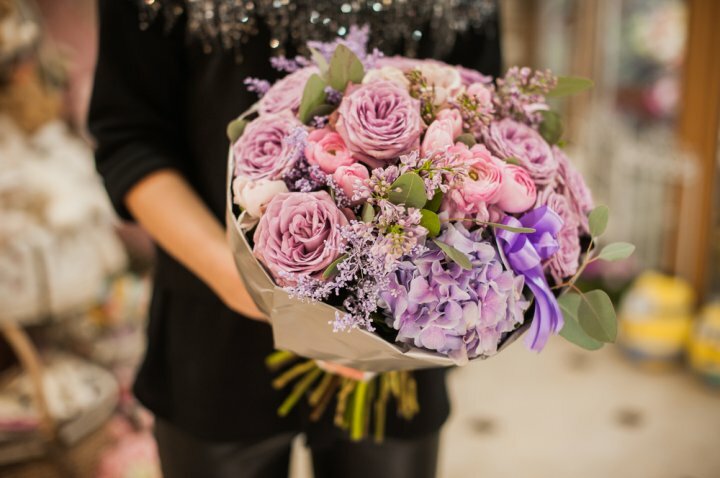 Lavender rose signifies love at first sight. 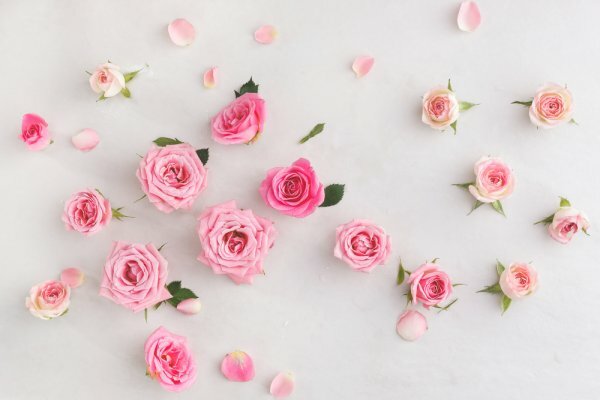 So now that rose day is approaching and you are thinking of gifting your beloved a rose to celebrate this day, here are some wonderful gift ideas to make your rose day more special. 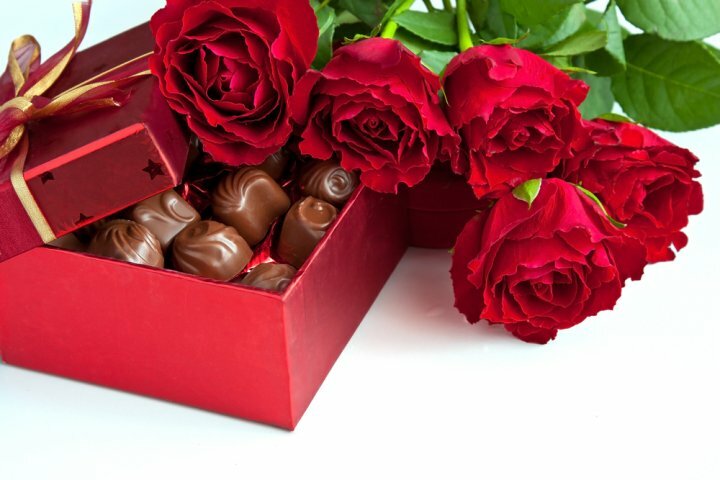 Along with gifting roses to your sweetheart, you can also add some delicious chocolates with your flower bouquet or gift hamper. Any beautiful occasion is incomplete without having something sweet and chocolates are the best sweets one can think of. You can get a pretty flower bouquet for your sweetheart with red, pink, yellow and lavender roses. Your sweetheart is the one you love. He/she is also your best friend and you should be grateful to have him/her in your life. Some people may argue that gifting flowers is a waste of money. But there is no expression of love as pure as that said with a rose. These traditions are age-old practices and have a lot of depth and significance in our lives. Celebrating these occasions every year gives us more reasons to express our love for our beloved and also gives us more reasons to live life beautifully. So while you have ordered your flower bouquet, how about adding some delicious, creamy cakes along with it. You can either add chocolates or cakes or even both together! Rose day is the day to indulge in some festivities and more is less when it comes to rose day celebrations. 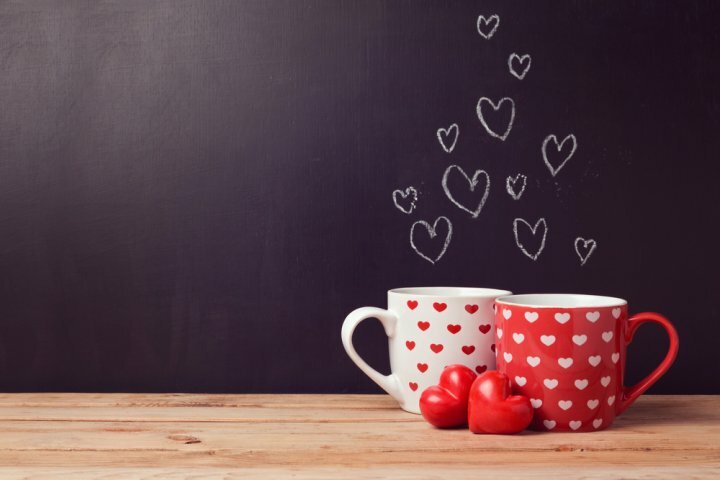 In the segment below, we elaborate on apt rose day gifts which according to us is best celebrated with roses, chocolates and some cute teddy bears. How about indulging in a creative DIY mini project and making your own rose bouquet for your beloved? If you have access to roses then pick some roses in different colours. Watch the video tutorial to get ideas on how to arrange these roses yourself in a neat bouquet. You can hide in some love notes with your personal love messages in the bouquet. Tie the bouquet with some colourful ribbons and decorate with some glitter. You can also make your own chocolate cake to accompany your handmade bouquet. This fabulous flower bunch is assembled to give your sweetheart the gift of love and care. 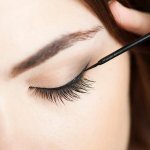 They are sure to fall in love with it at the very first sight. These fresh and glorious flowers are assembled for you in a beautiful and appealing bouquet. Aptly named as Blush- a bunch of flowers, this one consists of 15, opulent pink roses in a crisp pink wrapping paper with an attractive pink coloured ribbon bow with white and green fillers which induce a sense of comfort and love at first sight. At just Rs.829, this is the perfect gift for your beloved. More impactful than a bouquet of red roses, a bouquet of pink roses to your beloved speaks volumes about your gratitude of having them in your life. If you have been gifting your love a red rose every rose day, then this year, get him/her this pink floral bunch from Ferns and Petals to convey how thankful you are to have them in your life. Want to surprise your loved ones with a special gift hamper? This cute little hamper contains a cute teddy bear, white and red roses and Cadbury dairy milk chocolates in a cane basket. A lovely surprise for the love of your life, this special gift hamper from Ferns and Petals is one of our most popular items as lovers usually prefer to celebrate the rose day with everything - chocolates, flowers and a cute teddy bear. All these are the quintessential ingredients of a love relationship and so why not gift all of them to your beloved on the rose day? 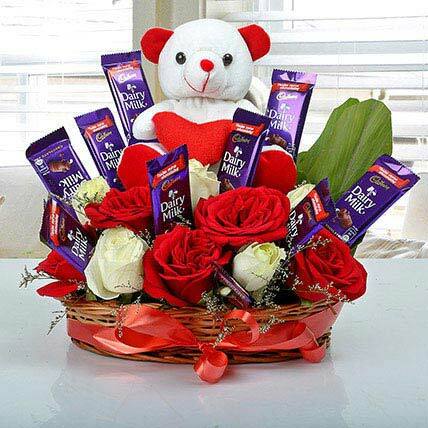 This hamper costs Rs.999, a very affordable price for a blissful day with your beloved. Red roses express the feelings of heart like no other flower. This premium bouquet of 500 red roses is sure to melt anyone's heart with its grace and beauty. Wow your partner this Rose Day and give them magical memories for a lifetime with this delightful red roses bouquet from Ferns and Petals. 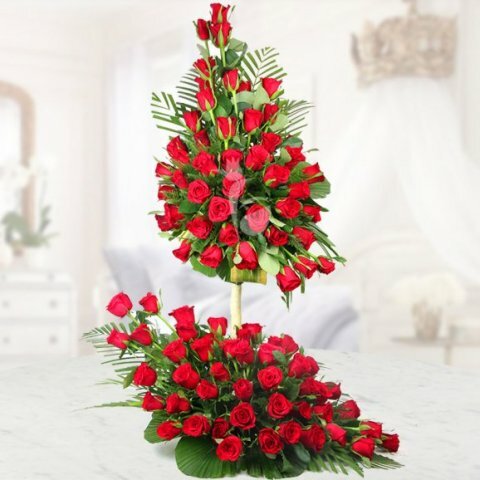 If this is your first rose day with your beloved and you are in a mood to do something crazy, then this crazy and costly bouquet can be an option! A lovely bouquet of 500 red roses will make your beloved fall off a chair! Luxurious, beautiful and stunning, this one costs a whopping Rs.16449. In return, you will get a beautiful smile, a kiss and a passionate hug. 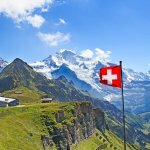 Sometimes, you can indulge in such crazy pleasures in life as when you look back at life after a few years, you will proudly think that you have had a life well-lived. The first rose day with your beloved has to be special and if you really don't mind the price, then this one is just too perfect! 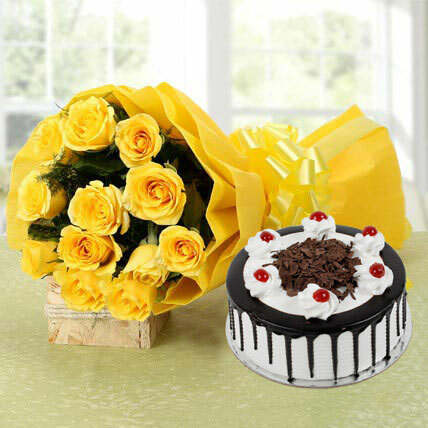 If your beloved is your best friend first and lover after that, then your rose day gift cannot be better than this yellow roses bouquet along with a tasty cake. Cakes always spread a smile on everyone's faces. It makes the mouth water, pupils dilate and makes everyone happy. Cakes are synonymous with festivities, happiness and good occasions. They help in building beautiful memories. There is something about a cake that no other sweet delicacy in the world can match. So get this delicious surprise from Ferns and Petals for your beloved on the rose day for Rs.1399 and also tell him or her how grateful you are to have them in your life. If you don't want to spend on flowers and only want some sweet indulgence, then this Chocolate Truffle Cake from Archies can be your best pick. Coated with sinful chocolate wafers, this chocolaty goodness is drool-worthy. If chocolate is the favourite flavour of your beloved, then nothing will make him or her happier than this thoughtful gift. Rose day is all about exchanging smiles, love and some precious moments. 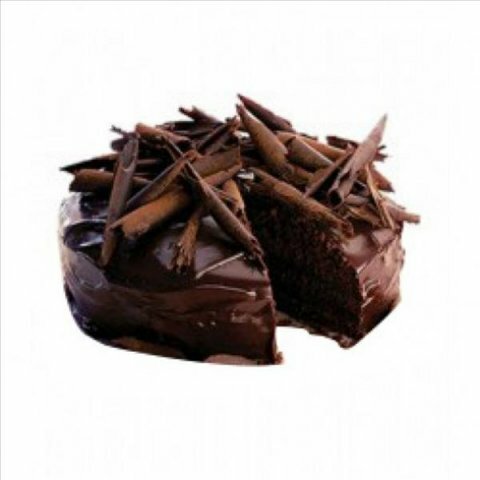 This cake, priced at Rs.845 is an eggless chocolate truffle cake. It will make your occasion brighter and better for sure. 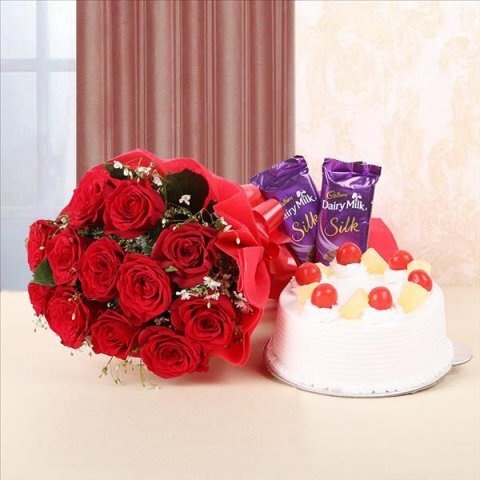 A beautiful bouquet of roses, chocolates and a cake; This gift is just perfect for the rose day. The hamper contains a bouquet of 12 red roses, a delicious looking pineapple cake and two dairy milk silk chocolates. Priced at Rs.1795, this one is perfect for those who want a little of everything on the rose day for their beloved. The red roses bouquet from Archieswill convey your feelings of love for your beloved while the delicious pineapple cake will add some sweetness to the occasion. Complete your celebration with dairy milk silk chocolates, the latest addition to the Dairy Milk chocolate family with the chocolates so soft and silky that they literally melt in the mouth. Chocolates and Flowers make a good couple. 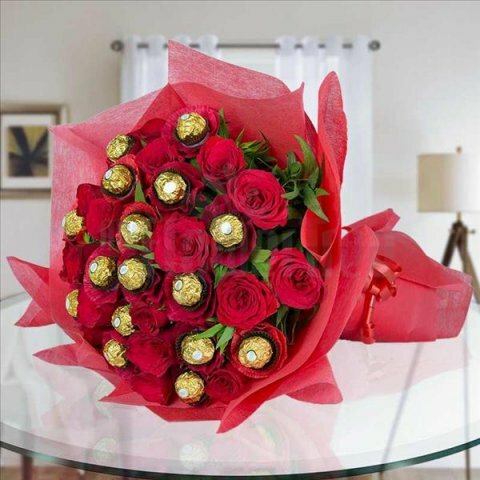 That is why we have curated this perfect bunch for you that has 16 Red Roses and 16 Ferrero Rocher Chocolates tied together in Red Paper. Get this perfect little bouquet from Archies at Rs.2295. Let your beloved, decide between picking a Ferrero Rocher or a red rose! This one is a sweet gift for the person you love. Such gift items manage to convey your love along with sending some sweet indulgence to your beloved. This lovely combo of Red Roses, Chocolates and 6-inch teddy from Flower Aura is lovely enough to convey your love to your dear one. While the flowers will wither away and the chocolates will be eaten, the teddy bear will remain with you forever. Gift this sweet combination of red roses, chocolates and teddy to your beloved on Rose Day. Such sweet gifts help build some precious memories which remain with you forever. You can always display this love teddy bear in your cupboard or side table to remind you of your sweetheart's gift. Such cute gifts become precious memorabilia which remain with us forever. For Rs.799, this is such a steal. 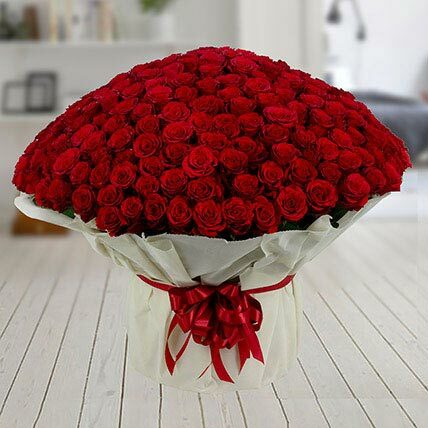 This arrangement of 100 Red Roses from Flower Aura is an exquisite and stunning bouquet for your beloved. If you love to do everything in style or your beloved loves everything stylish, then do pick this stunning floral arrangement to make your rose day more special. When displayed on your beloved's side table, this love Everest made by red roses will remind your love of the height of your love for them. It also speaks volumes on your stylish choice. Priced at Rs.2599, this one is a great choice for the rose day. Red roses showcase love and beauty with every striking stem. Roses are the best way to tell someone how much you love them. A bunch of 10 red roses in a red paper packing with a ribbon bow and a greeting card as per occasion is perfect to fill their heart with joy. Make your loved one happy by buying these special flowers for them. 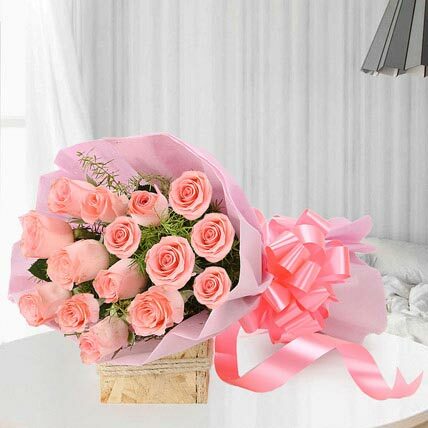 This rose day, get this wonderful floral bouquet from Book my Flowersfor your beloved to tell them about your feelings. 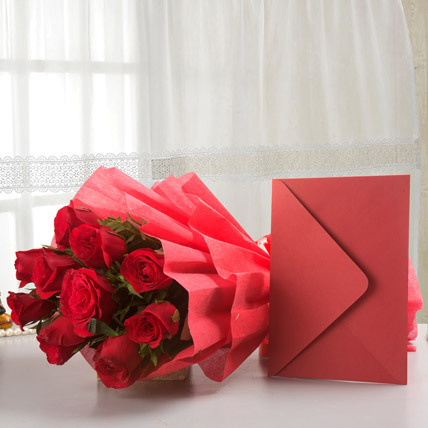 Priced at Rs.699 only, this combination of red roses with a greeting card is just too perfect. 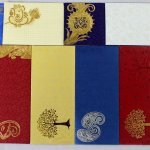 You can write all your heartfelt personalized messages on the greeting card. While roses say how much you love your sweetheart, you can actually express your feelings in detail in the greeting card. So while the festival of love approaches, plan your gift beforehand. Select from any of the above-mentioned gift combos to tell your sweetheart about your feelings. Even if you are in a steady love relationship, celebrating rose days gives you more reasons to celebrate your love and be happy with each other. We all need reasons, occasions and special days to celebrate our love with each other, otherwise, life gets very mundane in our daily routines. Not only is Valentine's day celebrated, but Valentine's week is also celebrated apparently. The week full of celebrations starts with the Rose day where people in love give roses to their loved ones as a symbol of love. But you can't give any rose. Each colour has its own meaning. For example, Red rose is a symbol of love and desire. Yellow rose denotes friendship while pink rose stands for grace and gratitude. White rose is usually used in weddings and stand for purity and innocence. Orange rose stands for passion while peach rose signifies the first blush of love and admiration. If you could find a lavender rose, use it to tell your crush, how it was love at first sight. Now that you know what all the roses means, which colour have you planned to give?